Are you planning a large Raleigh landscape renovation? Need a landscape plan to implement in stages? Let Evergreen help! One of our landscape designers will meet with you on-site to determine your landscaping objectives and outline a custom plan to create your ideal landscape. Evergreen’s landscape architects will put these ideas on paper using our computer-generated design software. These designs will help you to fully envision the final landscaping design for your Raleigh or Cary, NC property. You will then have the opportunity to view and approve these designs. 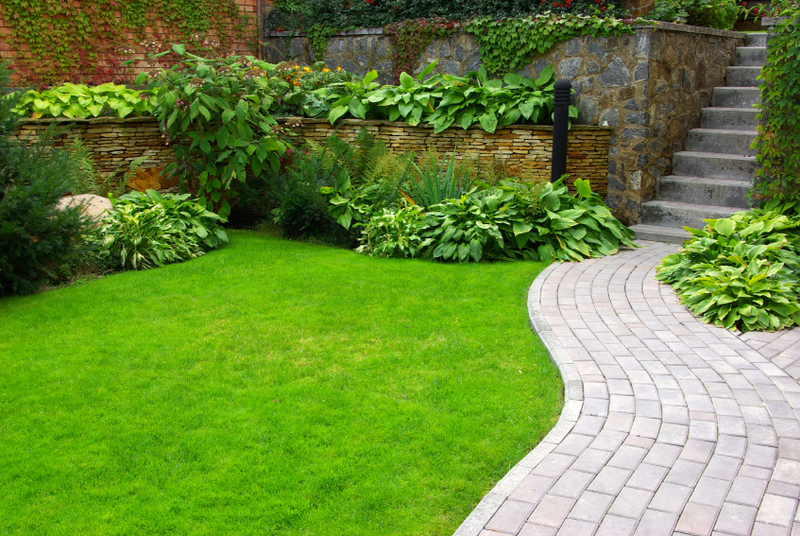 We want you to feel confident knowing you’re getting exactly the landscape design you want. Once you’ve approved the final landscape design, we can us it to form a price quote. From there, we make your landscaping vision a reality! Contact us to get a free quote and schedule an initial consultation. We offer home landscape design to clients in the NC Triangle, including cities like Raleigh, Cary, Apex, Morrisville, Holly Springs, Fuquay-Varina, Garner, Knightdale, Pittsboro, Wake Forest, NC and beyond.